Congratulations to Sheila Walker and Linda Fung (Blackwater Belgians) :) We miss him ALOT!!! Thank you Karyn Cowdrey (Blackfyre Belgians) for picking him up at the airport !!! and was again BEST FEMALE and BOS!!! Congratulations Eli Andrea! I still have the last boy left - Nizhoni's Lightning Thief - available to the right home. Almost all the puppies have now left for their new homes, and reports are good from all. Congratulations to Eli Andrea Foss Baldersheim and Nizhoni's Timeless Design "Jolie"
I am so very proud of the both of you!!! 1 CHK 1 CHKK CK 1.BEST FEMALE and BOS!!! Huge congratulations and best of luck tomorrow!!! Finally got up some week by week photos of the puppies. We have olive boy and pink girl available to the right homes. Congratulations Eli Andrea and Nizhoni's Timeless Design with BOS and CAC 26.05.2013. Way to go with a double win! Pictures of the other dogs come later. Gigi gave birth to 3 males + 3 females on 11 may. Unfortunately one of the girls didn't make it longer than to 10 days. winning CAC and BOS !!! Congratulations Eli and Jolie!! 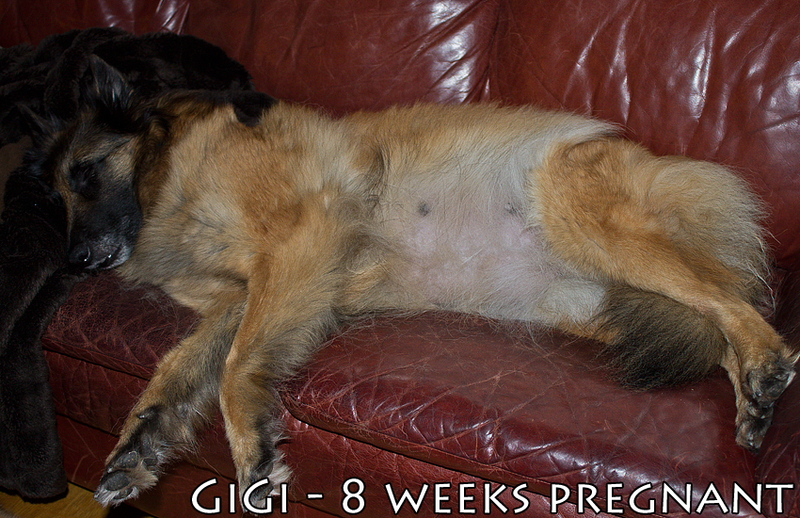 Gigi is now 8 weeks pregnant, and getting big and heavy. She's due any of the coming days now. March has really been the month for Nizhonis in the show ring! She now needs only 1 more major for her AKC CH! Best male and finished his UKC CH !!!!!! HUGE congratulations to his owners Pat Morgan and Sheila Walker in USA! Last weekend Gigi and I took the trip to Gangster, and we had 3 successful matings. So now we wait until 11.May, and hope that there are lots of beautiful little puplets inside her. Gigi has finally started her season! Soon we will go to Gangster. of him, and giving him such a full life! nr.1 in our region all varieties and also for the 4th year in a row! Chatmar Ice Cracker also sired his first litter at kennel Fauve Art with Fauve Art OX Gabi, and mated Hexen House Awynh late December. Keeping our fingers crossed for puppies.